The results are in. Simply claiming that you are the best at your service is not enough to convince the modern buyer. You need to find another way to show that you are the right person for the job. Consumers are looking for an independent indication that you do a good job and achieve results. What are video testimonials and why should I use them? Testimonial videos are product or service reviews from clients. They are one of the best ways to build credibility. Testimonials show the viewer that you are reliable and an expert in your field. Hearing a happy client talk about their personal experience with your service leaves a good impression on new visitors. Furthermore, they build trust by backing up claims you make about your business. 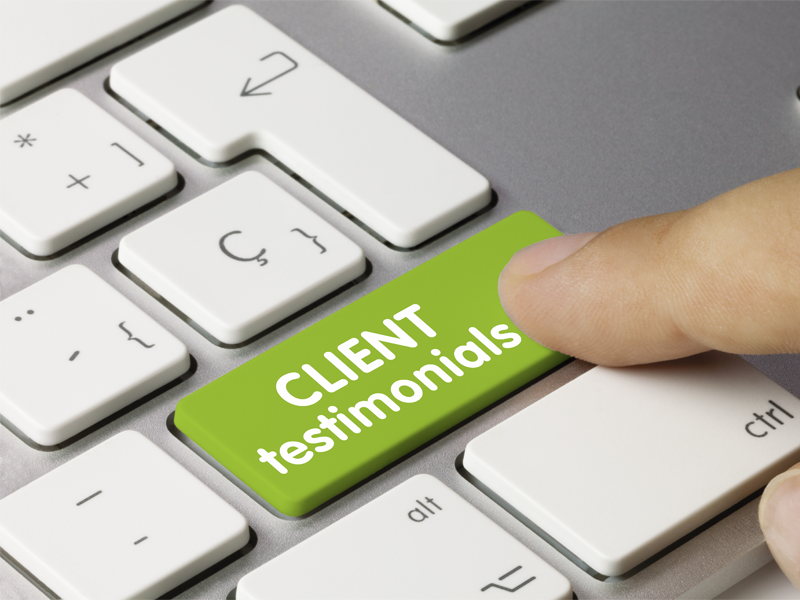 Having any kind of positive testimonial is great to feature on your webpage or social media. But reading a customer’s comments is very different than seeing the look on that customer’s face. Videos testimonials create a much more powerful and emotional experience for new clients. Imagine hearing a satisfied client first hand talk about your product or service. You get to hear and see their excitement and emotion. The viewer of this video is more likely to feel comfortable about taking the next step. They are also more likely to make the viewer feel connected to your customer’s journey with your company. Not having video testimonials on your website means you are risking missing out on a large number of website visitors. The savvy ones who want to know that you are someone they can trust. Testimonials are currently rated as the most effective form of content marketing. You can share them on your website, social media, in emails, in ads, in blogs and in print materials too. So what are you waiting for? For more information, visit our testimonial pages for REAL ESTATE and CORPORATE work, or CONTACT US.